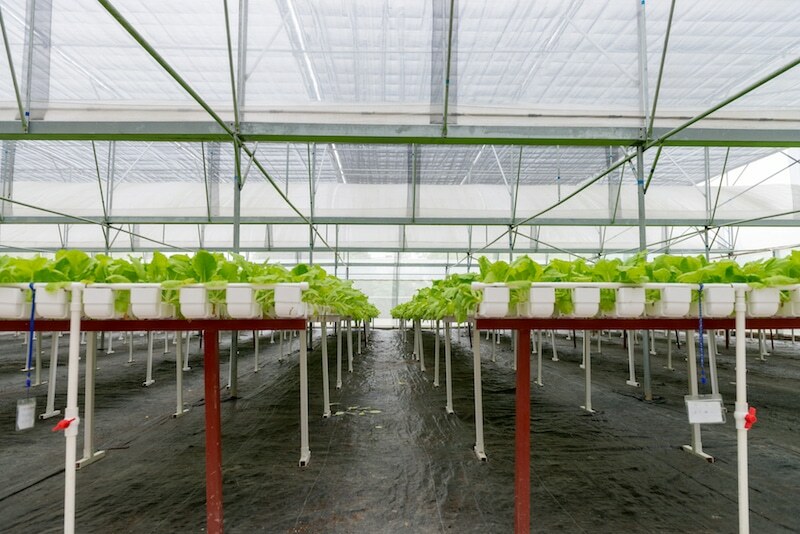 Hydroponics aside, growing plants—in a backyard, as a row crop—requires soil. Your soil is so much more than dirt since it affects your plants’ growth. So whether you’re looking to turn your hydrangeas a different color or attempting to achieve the best possible yield from a row crop, soil knowledge matters. The best way to get to know your soil, is by doing soil tests. Soil tests can tell you the pH of your soil as well as its nutrient make up. This allows you to amend the soil as needed to benefit your plants (or change your color scheme). 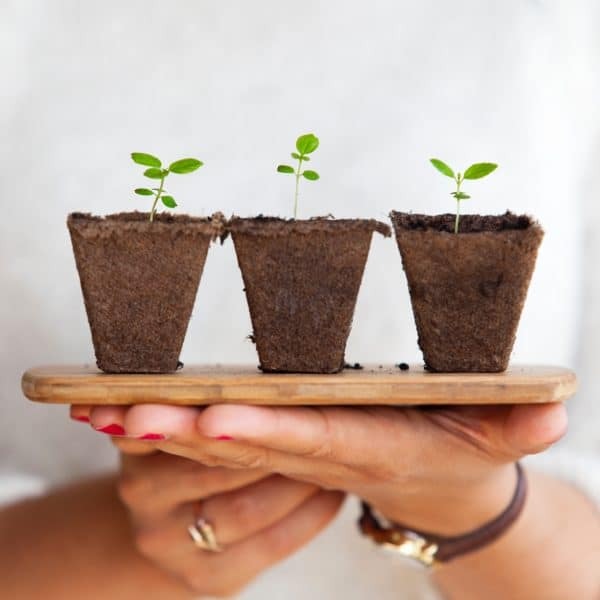 Additionally, if you live in an older urban area, soil testing is key to discover if your garden soil is tainted by heavy metals or other pollutants. These toxins can drastically affect the safety of any garden produce. Learn more about better plants through robotics. Though some for-profit companies do soil testing, most states have an Extension service that offers affordable and accurate soil testing results. The Extension service was created in 1914 as a partnership between land grant universities and the USDA. Their goal was to facilitate the distribution of research-based knowledge from universities to homes, businesses, barns, and fields. For almost any life situation you can think of, rural or urban, the Extension service probably has a pamphlet and a caring agent to help; especially when it comes to horticulture and agriculture. In Arkansas, they test soil at the University of Arkansas Soil Testing Laboratory in Marianna, Arkansas. As you may know, Arkansas is a largely agricultural state. In 2014, agriculture contributed over 20 billion dollars to their economy. So it shouldn’t be a surprise to hear that they lab test as many as 200,000 samples a year, with a majority of those samples coming in three months after harvest. Now that’s a lot of soil at once! You may remember using pH paper in high school chemistry to measure if a substance was an acid or a base. This procedure would be tedious and time-consuming to do for 200,000 samples. That’s where the robots come in. In 2010, they purchased a soil-testing robot from J-KEM Scientific. The J-KEM robot they’re using right now can analyze 144 samples in about 15 minutes. This means they can test over 4,000 samples in a single work day! The Arkansas soil testing lab currently uses a team of J-KEM robots for testing the soil pH and nitrates. The robots are not mobile, with treads, but are rather large metal frames with the soil sample material on the bottom and the robotic measuring arm moving over them. First, the robot’s measurements are calibrated by using samples with known pHs to ensure accurate results. A soil sample, in its set of 12, would go through the prep robot. This robot adds a precise amount of deionized water to each sample and stirs it, preparing it for the pH test. The samples are then moved to the testing robot which places a pH measuring electrode into each sample. The robot records the results in its internal system and then tests the next set. 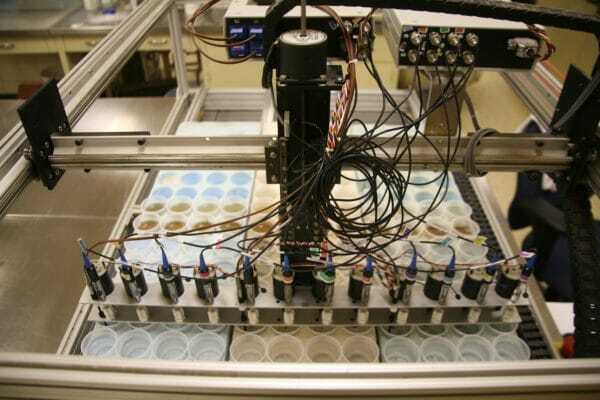 While the preparation robot adds the water and stirs the sample, the technician can monitor the data for the quality control test samples as the testing robot works. This helps with efficiency since the technician doesn’t have to step away constantly to do prep work. The J-KEM programming software is easy to update and makes recording the data simple. The individuals who have sent their soil to be tested are able to access their results online and make soil amendment decisions accordingly. J-KEM Scientific’s robots save time and money. Instead of spending hours in the lab, the men and women of the University of Arkansas Extension service are able to be in the field or with the people of the state. See more about J-KEM robotics. Find your local Extension service. J-KEM employees benefit from the work of the University of Missouri Extension service in the St. Louis area.